It’s not often you get the chance to be part of something really big – to be there at the start of an epic journey and help shape the future. But, with the growth of apprenticeships, businesses now have that unique opportunity. 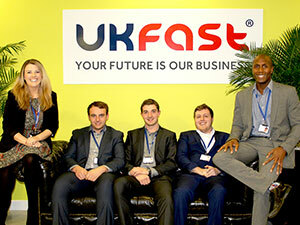 To help chart this course and put Manchester’s businesses on the map at the embryonic heart of this adventure, we want to invite you to a very special Apprenticeship Employer Engagement event at the UKFast Campus! The crew will include over 100 other pioneering businesses, seasoned apprenticeshippers and a couple of very special guests, including Nadhim Zahawi, the PM’s advisor on apprenticeships! Apprenticeships are now being recognised as a crucial vehicle for growth, both for the economy and for businesses, not to mention as a veritable pool of young talent with which to help plug the skills gap. The government plans to create 3 million apprenticeships by 2020 with the help of an apprenticeship levy of 0.5% on company payrolls as of April 2017; the aim is to raise £3bn for apprenticeships, so the time for businesses to get on board is now. The event is on Thursday January 28th, and is run in partnership with The National Apprenticeship Service. It’s all about helping you, as employers, find out more about apprenticeships and training, and why they’re so important so it’ll focus on helping businesses start their own apprenticeships or grow their current programme. At the event you’ll be given a toolkit for building your own apprenticeship programme, and will also have the opportunity to bend the ears of experts from the National Apprenticeship Service; as well as networking with other businesses and meeting key apprenticeship partners. Essentially, everything you could need for the journey ahead! Our CEO Lawrence Jones MBE will also be delivering a speech on how apprenticeship programmes benefit businesses, drawing on our own, roaringly successful Apprenticeship Programme, followed by the keynote address from MP Nadhim Zahawi, the Prime Minister’s Advisor on Apprenticeships – not one to be missed! We’re also delighted to have Karen Woodward – newly appointed Deputy Director of the National Apprenticeship Service (NAS) – speaking; as well as the people on the coalface – our own excellent training and education department and apprentices – so you can see the impact that the programme can have firsthand! That’s a fair bit of info to take on board (sorry, no more nautical puns! ), but if you’re starting to think there might be something to this whole apprenticeship malarkey, we actually have another event to keep on your radar too. As the hub and lead sponsor of the North West Youth Apprenticeship Ambassador Network (YAAN) we’re also hosting the launch event here on the 25th February, so it’s looking to be an exciting couple of months! With our extensive involvement in the apprenticeship world, we want to use our experience to help other businesses understand and benefit from apprenticeships and learn how to take advantage of funding opportunities in order to make this a reality. This ship is about to sail, make sure you’re on board! The event is from 4-6pm on Thursday 28th Jan, and places are limited so book now and make sure we don’t sail off into the sunset without you!